Inhale as much as possible and lower the barbell behind your head by slightly bend your elbows. 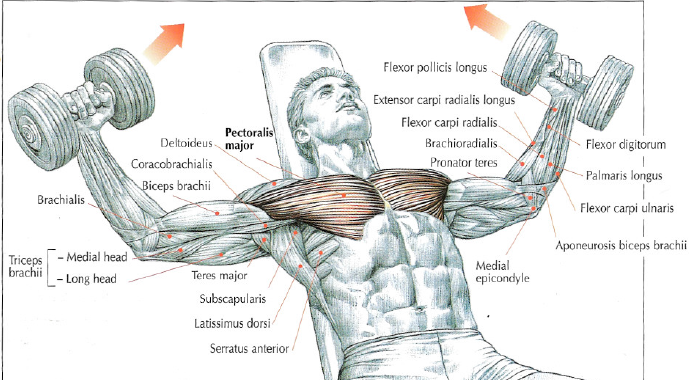 This exercise work pectoralis major, triceps long head, teres major, lats and a little bit serratus anterior, rhomboids and pectoralis minor. This exercise is to be done with light weights and it’s necessary to pay attention to positioning and breathing. This movement is excellent for thoracic expansion. Exhale at the end of the movement and returns to the starting position by controlling the movement. 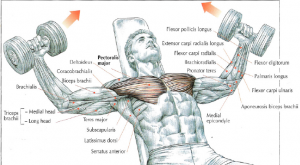 This exercise works the pectoralis major. By changing the torso’s inclinaison and the angle of your arms, you can work the entire pectoralis major. This exercise work the pectoralis minor under the pectoralis major. 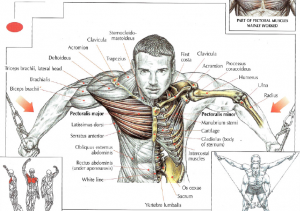 The pectoralis minor’s function is to stabilize the scapulae (shoulder blades) and projects the shoulder forward. 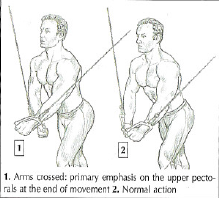 This exercise works the pectoralis major by stretching it and a little bit coraco-brachialis and biceps short head. When the elbows brought together, the effort is in the sternal part of the pectoralis major. With high reps, you can have intense pump. 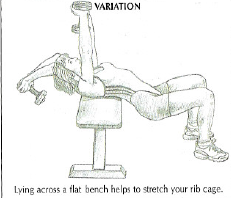 This exercise is excellent for beginners to build strength to then do more complex exercises. 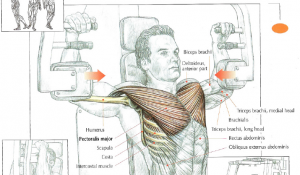 This exercise works the upper part of the pectoralis major (upper chest). This exercise is to do with lightweight to avoid injury. 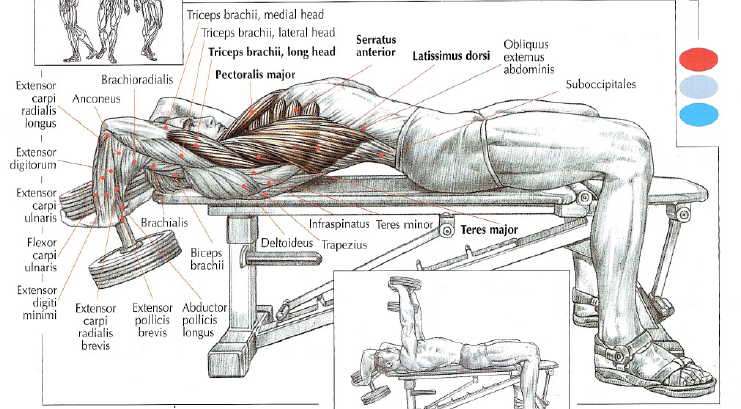 This exercise and the « pull-over » are exercises to develop a good thoracic extension. Squeeze your chest at the end fo the movement to work the sternal part of the pectoralis major. Does this exercise with light weights. 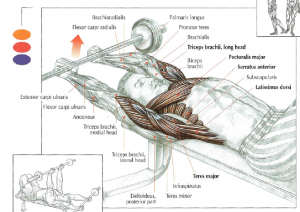 This exercise works pectoralis major and it’s a good exercise to increase chest expansion to increase lung capacity. 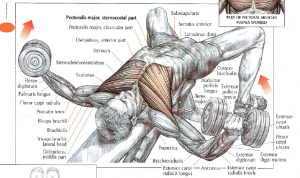 it’s also an excellent movement to stretch your pectoralis major. 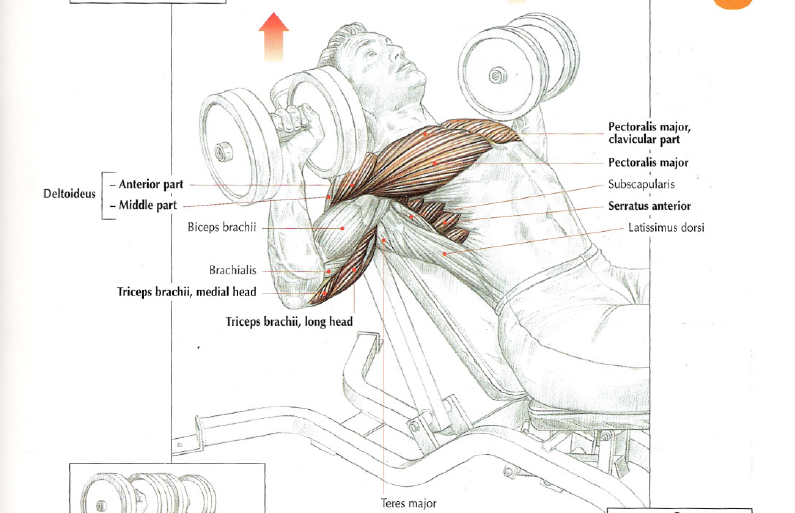 To avoid pectoralis major tears, it’s necessary to do this exercise with extreme caution when the weights are heavy.